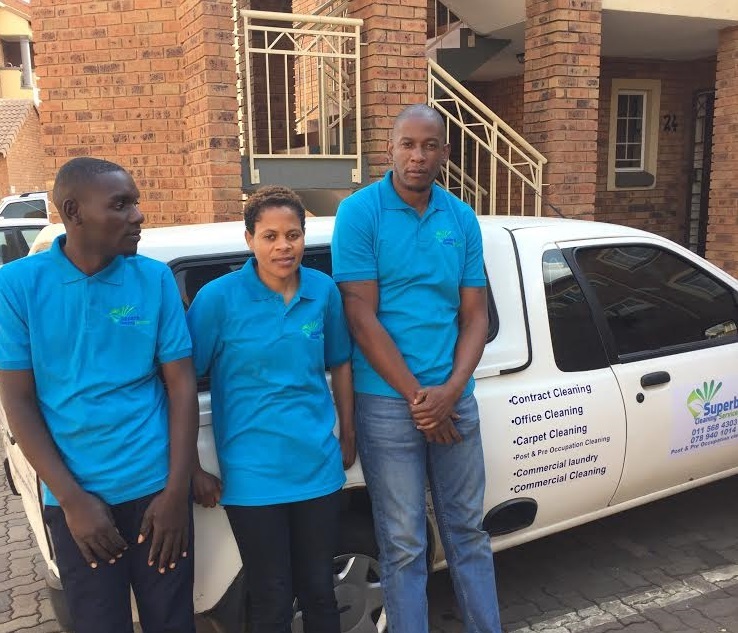 Superb cleaning services is a cleaning company based in Johannesburg North which was born out of personal experiences. We have an amazing team of Cleaners. We do Commercial cleaning which includes Office cleaning, Event cleaning, Carpet cleaning and many more. We also do commercial laundry for Hotels, guest houses, hospitals, restaurants and also supply Cleaning Products. Being founded by individuals who have vast experience of cleaning, we are dedicated to providing exceptional value superior customer service. We always try all means possible to leave our clients satisfied. We endeavour to be preferred and regarded as the best Cleaning Company and cleaning service amongst the clients in the suburbs which we operate. All of our employees are well trained and they also perform a superb job. The company has two directors and 35 permanent employees.